If you have any photos of you and your mates at Strawberry Moons nightclub in London send them to photos@grandparties.co.uk and next time your on you may see it here! A hidden gem set in the quite off roads of Central London, Strawberry Moons is an established bar with a good mix of professionals and students. The club is made up of a large open plan dance floor, which spreads all the way through the whole of the club. The club has 3 main bars and a large DJ booth set in the corner. There is also a very small stage where you can get up on with a few mates to show the crowd how good of a dancer you are! The atmosphere is very lively, with people enjoying the dancing and celebrating the weekend.A great place to go to if you’re a student every Wednesday. Drinks on student nights are very cheap at £2 for a vodka and coke and shots from £2. The staff here are great and professional with the bouncers being some of the nicest we’ve met. The music genre is mainly main stream music, and floor fillers, however they place a decent mix. It usually starts out with dance and then moves into some R’n’B too, there’s also the odd indie track just to pump some more adrenaline into everyone towards the end of the night. 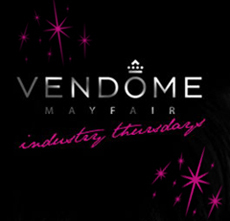 This Thursday at Vendome nightclub. Free entry with a membership card. This Saturday at Funky Buddha nightclub.